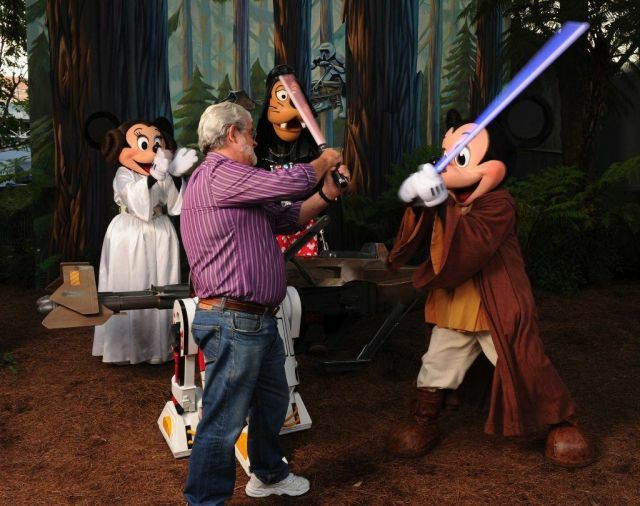 Revengeofthe5th.net: George Lucas Still Has His Say About One Aspect of "SW"
George Lucas Still Has His Say About One Aspect of "SW"
George Lucas may have sold his company to Disney, but he still offers his advice to new Lucasfilm President Kathleen Kennedy on one aspect of the film franchise he created. She shared with Entertainment Weekly what his main concern is when it comes to a Galaxy Far, Far Away. It brings a tear to my eye that he still cares (for real). Kennedy also commented on Lucas's difficulty in stepping away from his creation.